I have had baby showers on my mind. Don’t worry Mom, I am not pregnant again. This may have to do with the upcoming baby showers I will be attending. But I attend baby showers all the time, so really it may just be the season. I mean, Spring is coming up, and that is the season for fertility. It is also the season for a lot of other stuff… but those are like five different posts that have nothing to do with baby showers , so we will get into that later. I have been doing my baby shower shopping (because I have leaving things for last minute). Now, none of the lovely women who will having baby showers are first time mommies, which means they already know what they want or need. They also already have the big ticket items. 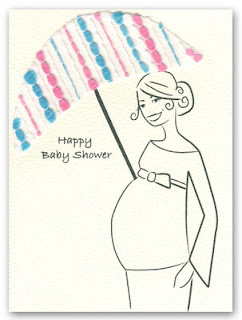 But nevertheless there are a few essentials that are welcome to most baby showers. Most baby showers have a diaper raffle, where everyone brings diapers, gets a ticket and someone wins a prize of some sort. Even if there is no diaper raffle, diapers are always welcome. A diaper cake is just a super decorative way of bringing diapers. Also, depending on what you got, you can put most, if not all, of your gifts inside the “cake” for an added surprise. If you have no idea what I am talking about, thisis what a diaper cake is. It takes time. I remember the first few I ever made. They were horrible. I practically wanted to cry. Now, I do a pretty good job. In fact, people request them. So if yours doesn’t come out the way you wanted. Don’t give up. Keep at it. If you are nothing like me, and don’t attend 523 baby showers a year, which means you won’t have time to practice and hone your diaper cake making skills, then call me. I will do it for you (because I love you, and making diaper cakes is super fun). Itsy bitsy newborn onesies are adorable. But guess what, everyone is going to be getting them for the mommy to be. She will be overloaded with tiny onesies. More than the kid may ever wear. I have almost an entire box of really cute onesies Munchie never got to wear (I am saving them for when my brother in law or my best friend has a kid… and with my luck they will both have boys that probably won’t want to wear Munchie’s pink and frilly onesies). 9-12 months baby clothes are also cute. And it will save the parents having to buy as many clothes when the child grows. Also, from personal experience, some babies are bigger and grow faster than others. Ducky was huge, and he grew very, very quickly. Some newborn onesies never even fit him. And the ones that fit stopped fitting within a month. He is five months old wearing twelve months clothes. Bigger is better when shopping for baby clothes. Babies grow at different rates, but eventually they will fit in the outfit you got them. I love gift cards. When I get gift cards it allows me to buy all the stuff for an occasion that I did not receive. For a baby shower they are great because the mommy to be can hold on to it until after the baby is born and use it for stuff she didn’t even know she needed. For Munchie’s baby shower I received a lot of gift cards and they became very useful in her first few months. As a new mom I did not know everything I would need. And all babies are different. Just because my friends used product X doesn’t mean I will have any use for it. There is also the stuff I thought I would not need, and turns out I was wrong. You really can’t go wrong with one of these. You can’t have too many. I received three of these at Munchie’s baby shower. I thought I would surely return at least one because what do I need three for? Turns out, they were great, and I ended up using all of them. At the time we were living in a two story town home, so I had one upstairs by the bed for night feedings. I had one in the living room so Munchie could lay on it during the day and I could use for afternoon feedings. The third resided in my car for when we went anywhere. We are now using them for Ducky. Make sure you get the kind with a removable cover. Babies spit up. Enough said. Honestly, you can’t really go wrong with a baby shower gift. In the end, it is the thought that counts. And anything is usually appreciated. If the mommy to be has a registry, consult it. If not, hopefully this gift guide has been helpful. What are some of your favorite things to bring to baby showers? What are some of the best things you received at yours? I just gave birth yesterday. As they took Ducky away to get his vitals done I cannot rest. I am too elated to succumb to sleep just yet. Ask me tomorrow, and I will probably be regretting this. Also, I am pretty sure they will be bringing him back in a couple of minutes so I will probably be more productive writing than sleeping. My excitement and joy is not just governed by the birth of my baby, or my ever-growing family. My happiness is brought by knowing that I most likely will not have postpartum depression. When I gave birth to my daughter last year I thought I knew what postpartum was. I was certain it meant you resented your child and could not take care of them. Well, I did not resent my daughter, and I could take care of her, so therefore I was fine. What I was not prepared for was that postpartum can often times emerge under different guises. My postpartum came in the form of aspiring for perfection. I had an unrealistic image of what a mother and wife was supposed to be. Of course I fell short. Anyone would. The ideal was somewhere between a Stepford Wife, Mary Poppins and Heidi Klum. I might as well have tried morphing into the Easter Bunny while I was at it. Needless to say, placing such expectations on myself did not benefit anyone. Once reality started slowly sinking in I started viewing myself as incompetent and that is when the depression part began. My husband and I worked through it, but it was hard. In fact, the hardest part was considering post partum as an option and basically admitting that postpartum in itself meant I was not perfect. This time around I am not going to try winning any Mommy of the Year Awards. I am going to give it my all, and if I happen to be nominated for the Mommy Oscars in the process, then it can be the cherry on top of everything. Does this mean postpartum cannot manifest itself in yet another way this time around? Of course not, but I will cross that bridge when and if I get to it. For now, I am just going to enjoy being a mommy to my new baby boy, as well as my toddler daughter. When Is It Okay To Induce Labor? In a couple of days I will be giving birth. Supposedly I am due July 28th. Last time my daughter arrived eight days early, so as far as I am concerned, I can go into labor any moment now. Frankly, I hope today is the day. I cannot wait to meet my son; the anticipation is almost too much to handle. A friend of mine suggested I induce since she does it every time and it works for her. I cannot bring myself to do it. I am not suggesting inducing is a bad thing. To each their own. I am even okay with the women who schedule c-sections for no reason other than not wanting to deal with labor, or wanting their babies born on a specific date. Just as I dislike how others judge me for using epidurals and pain meds, I am sure these women are tired of hearing comments from the peanut gallery about their particular choices. I do not want to discuss their choices, or pass judgment. I simply came to a personal conclusion; I cannot induce unless there is a medical reason for it. I think of pitocin (the drug used to induce) as a resource available if natural labor is not working, or if I happen well past my due date and there is some risk for the baby. 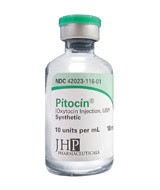 I used pitocin when delivering my daughter because for whatever reason my body no longer wanted to cooperate, and I stopped dilating after seven centimeters. So close, yet so far. I did not go to the hospital with the idea I would induce, or have to mess around with the natural progression of labor. I simply went into labor, and then labor came to a halt mid stream. Yet I was okay with it at that point. I accept intervention when things go awry. But as for actually being the catalyst, as much as I wish I was in the delivery room right now (and trust me, the urge is almost as bad as my craving for chocolate cake), I cannot bring myself to eliminate the element of surprise and excitement that comes during that moment when you realize it is finally happening. My baby and I are ready, and it is show time! How do you feel about inducing?